Had an opportunity recently to attend, and unexpectedly; speak, at the recent Clean Energy BC’s First Nations Workshop – ‘Advancing Indigenous Opportunities in Clean Energy’. It was encouraging to see the numbers of First Nation participants from across the Province, and see some familiar faces. That being said, I couldn’t help but sense the frustration by the group. What’s been happening is that First Nations, bolstered by Provincial and Federal funding, have been investing time and resources to develop projects in their territory. Unfortunately I fear this is a road to nowhere in the current BC environment. I couldn’t help but notice that the preceding Clean Energy conference was much smaller than previous years. BC Hydro’s Standing Offer Program (SOP), for projects up to 15 MW, has as of August 2017, suspended accepting applications until further notice. With the Site C project moving ahead, creating more power generation capacity, I wonder how long this program will be suspended. Contrast this with what is happeni ng in Alberta and Saskatchewan. The Alberta government is currently working towards procuring 5,000 MW in clean energy by 2030. 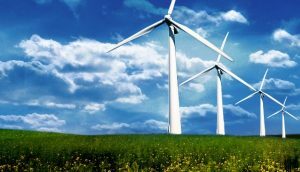 It recently announced the results of its first round of potential projects, which totalled 600 MW in wind projects. 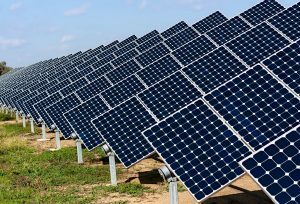 In Saskatchewan they are promoting the development of 120 MW of solar by 2025 and 1,600 MW of new wind projects by 2030. As well, they have targeted set-asides with First Nation organizations within these targets. Our group has developed and financed over 60 clean energy projects throughout Canada and the US, and has an interest in developing more, in partnership with First Nations.